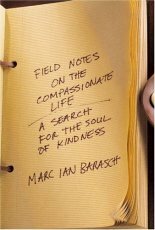 In his thrilling exploration of the "deep backcountry of human kindness," Marc Ian Barasch takes us with him on a healing journey of the heart. How can compassion, a trait hardwired into our nervous system and just waiting to be awakened, transform our lives and the world at large? From up-to-the-minute research to timeless spiritual truths, throughout the spectrum of the best (and worst) of human behavior, Barasch weaves a stirring, unforgettable account of his search to find within himself and others the essence of the compassionate life. His provocative questions have tremendous implications: Can we discover our greatest human potential by studying the exceptionally empathic? Can we increase our own "compassion quotient" with practice? How can we open our hearts to those who have wronged us? And what if the great driving force of our evolution were actually "survival of the kindest"?